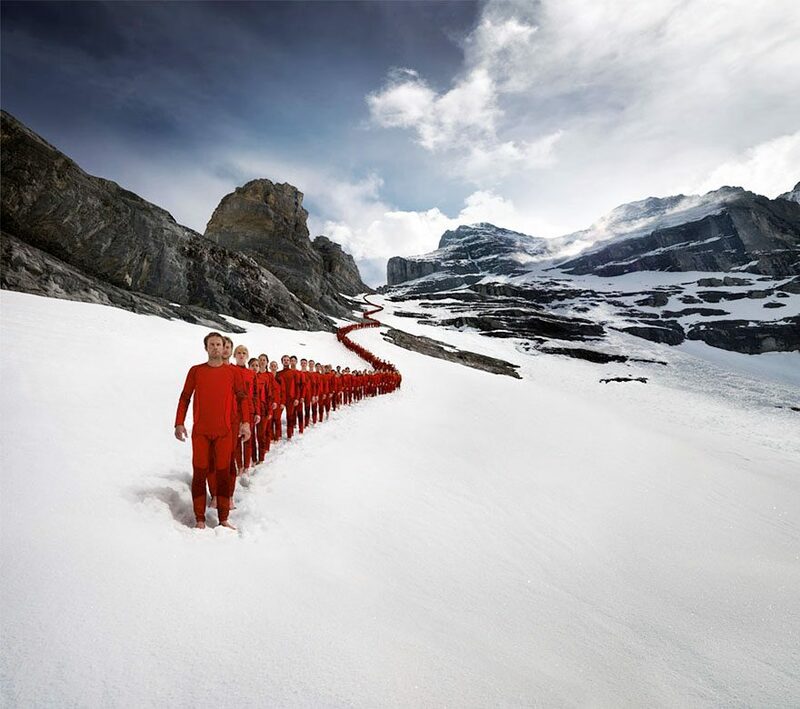 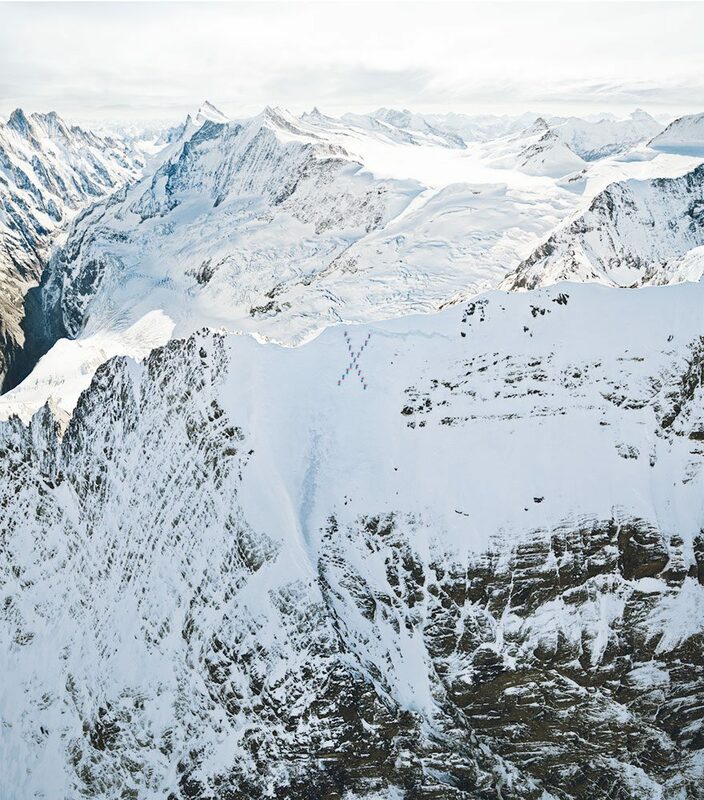 A sheer cliff wall or snowy, wind-blasted peak of an icy mountain is a brutal place to create large-scale photographic works of art, yet that is exactly what Swiss photographer Robert Bösch does. 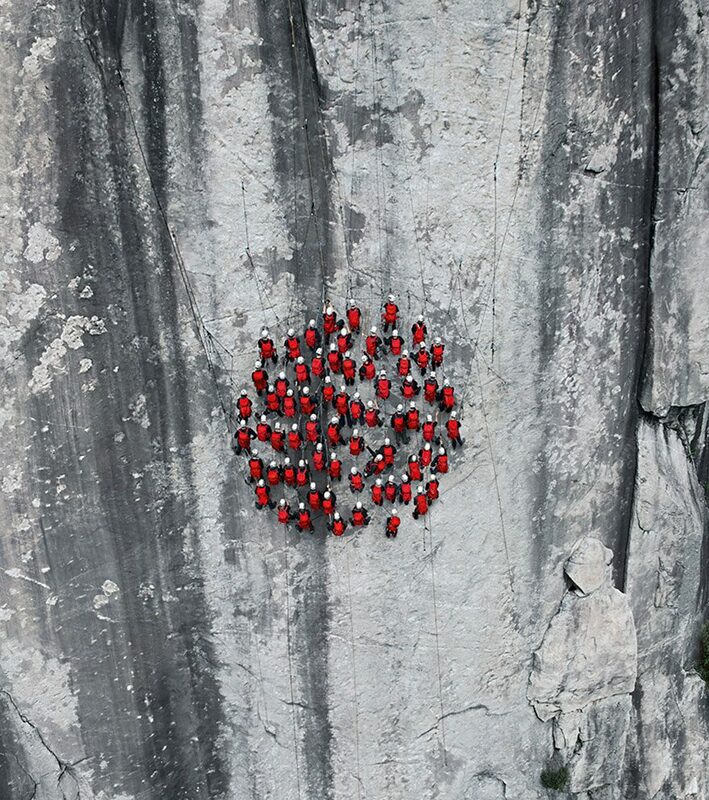 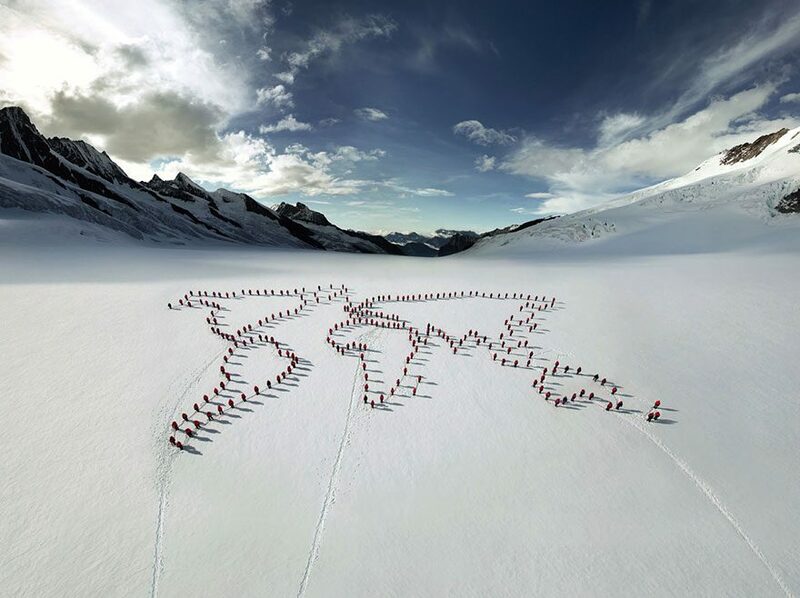 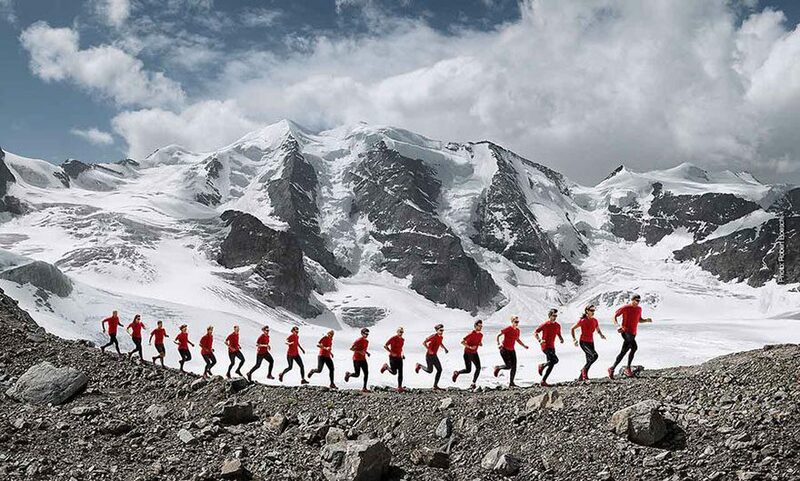 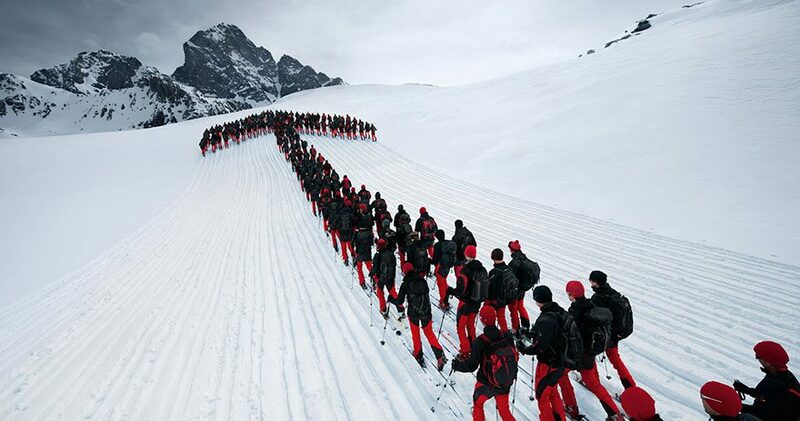 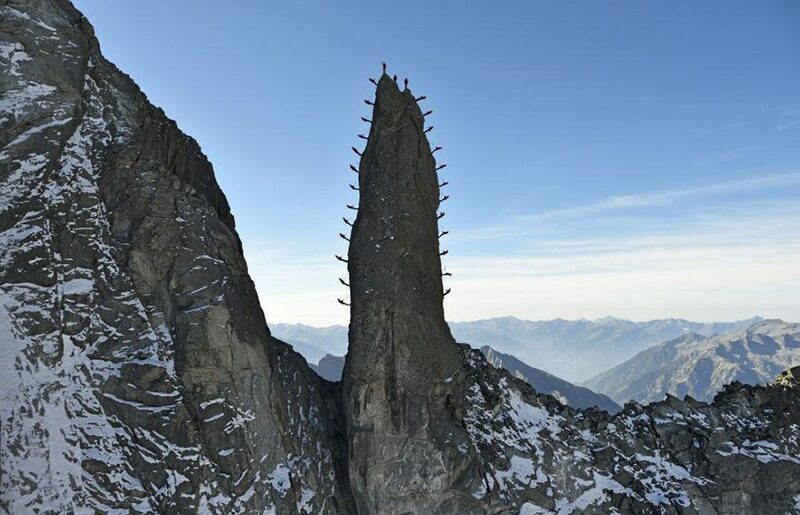 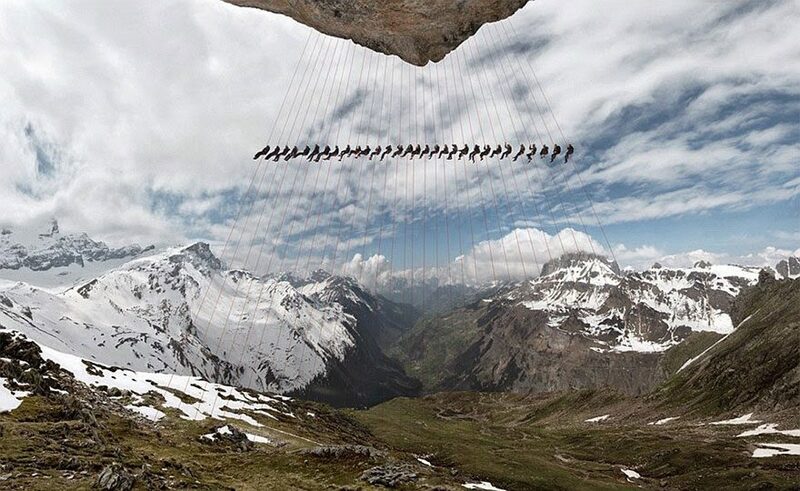 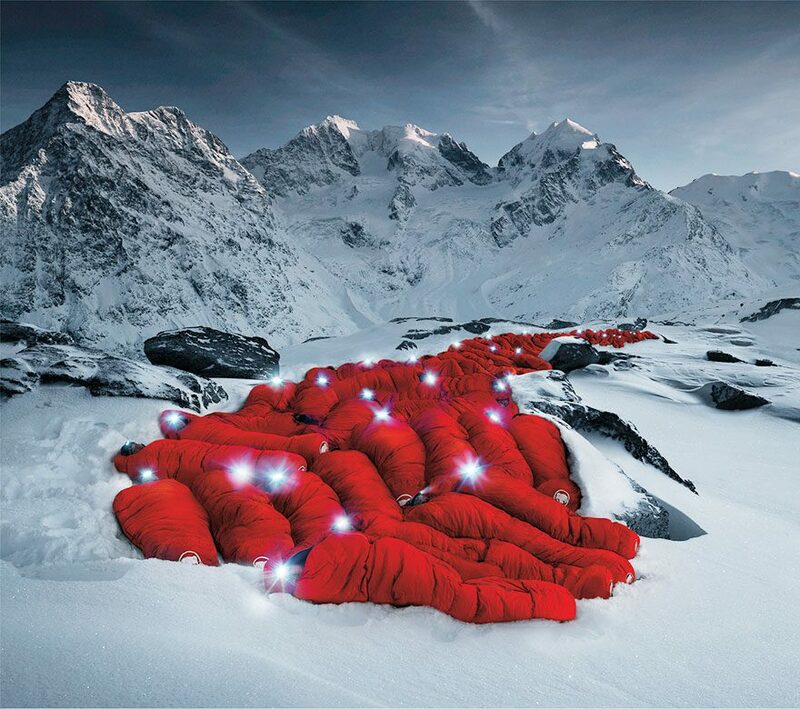 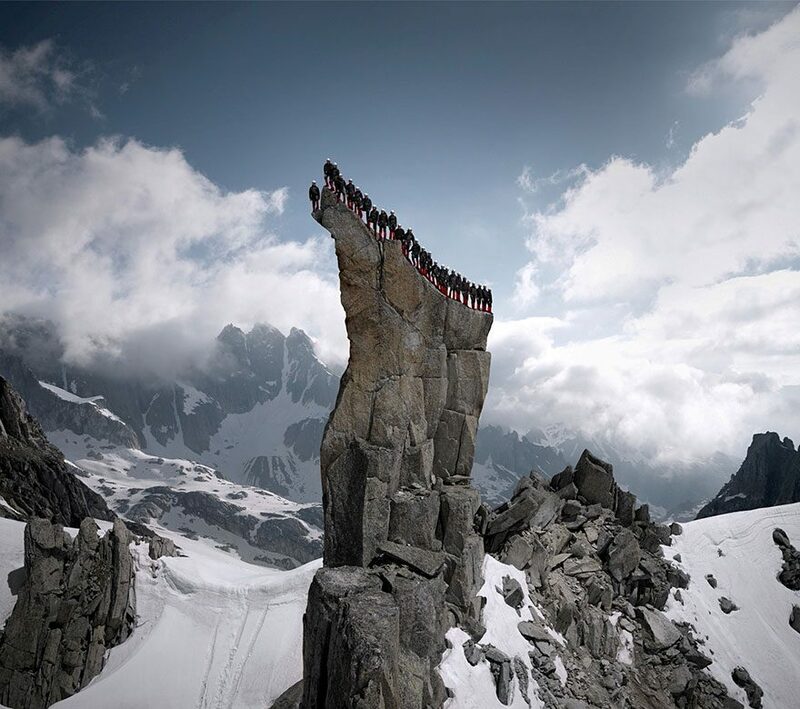 His photos often involve hundreds of mountain climbers braving difficult conditions – just to get the perfect shot. 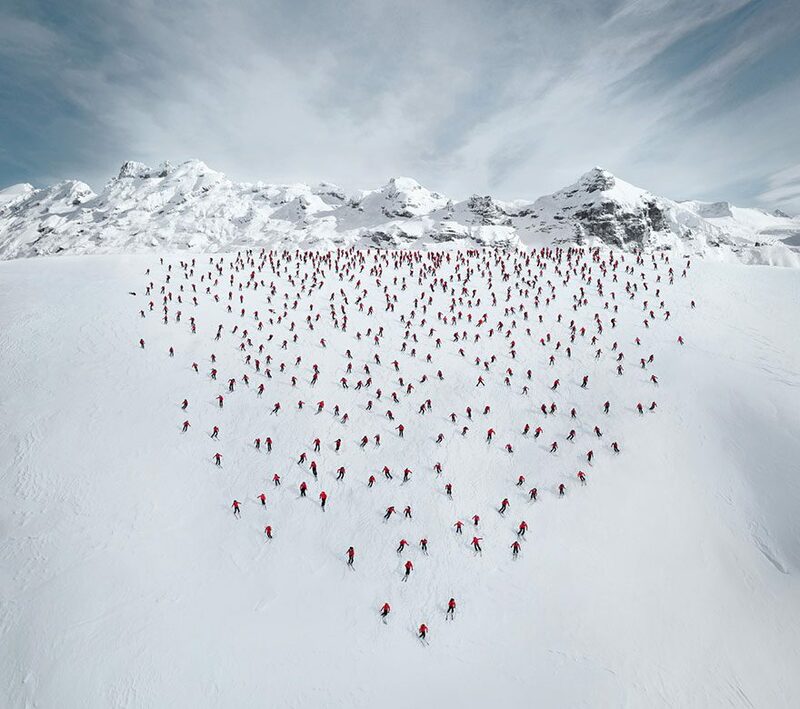 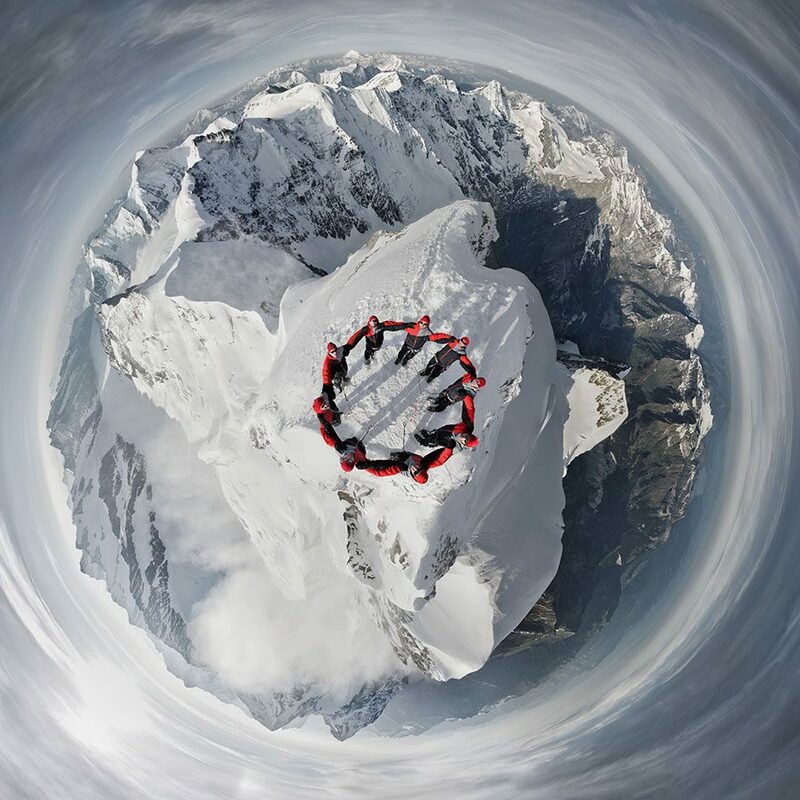 To celebrate the 150th anniversary of the first ascent of the Matterhorn ridge in the Alps by Edward Whymper and his team, Mammut, a Swiss mountaineering equipment company, asked Bösch to take a special photo to mark the occasion for the brand’s 2015 ad campaign. 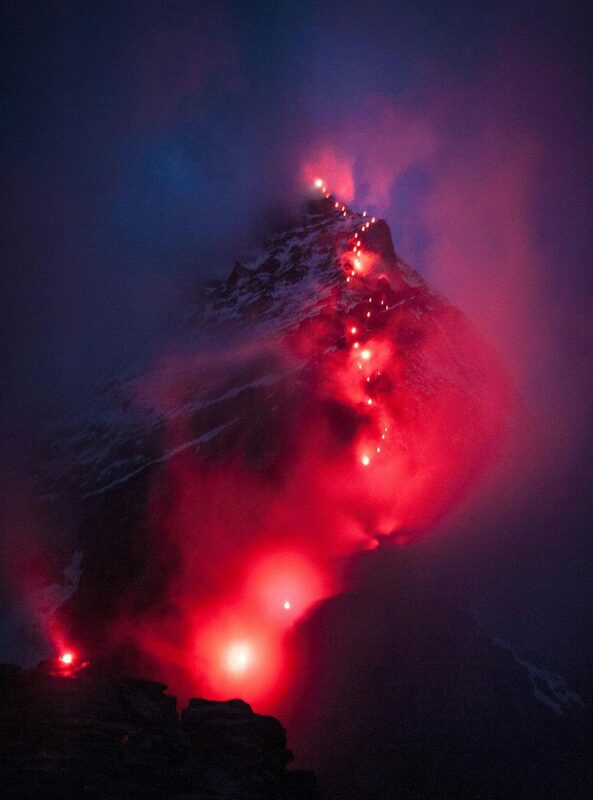 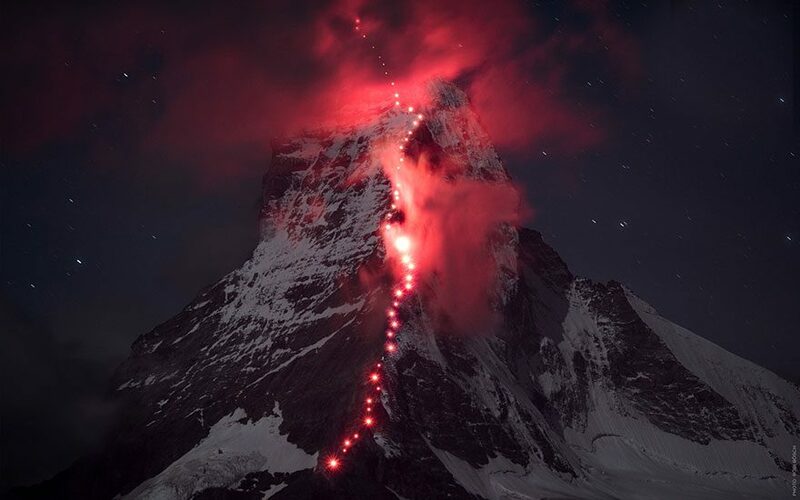 A team of mountain climbers ascended the Matterhorn’s Hörnli ridge and lit bright red lights that, at dawn, illuminated the path that Whymper took with his team to make the first successful ascent.